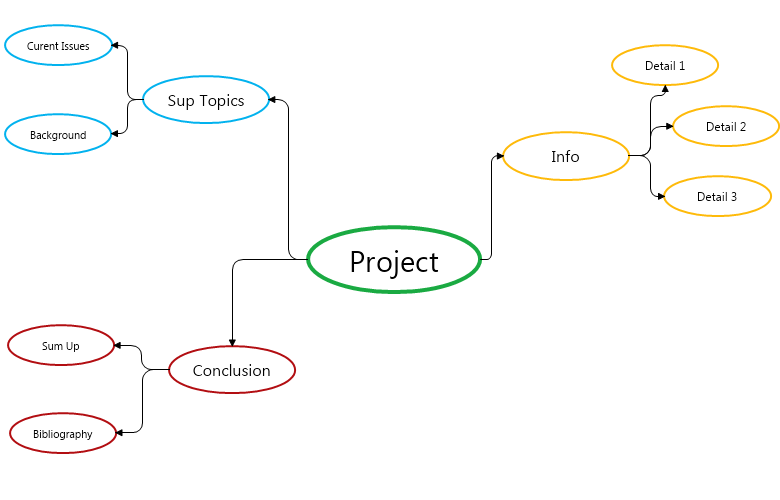 The Presentation Mind Map serves just like a slide show presentation, and even better as it provides your audience with all the important information to the presented matter at all time. The template contains of the three core branches of each project. Download this free template and edit it in Nevron Draw so it meets your personal and/or professional demands. By simply double clicking within the Mind Map bubbles replace the default template text.